Home › Humor › Stop Blaming Your Parents For Everything And Start Blaming The Weather Girl! Stop Blaming Your Parents For Everything And Start Blaming The Weather Girl! Today’s hot 90 degree news tip comes to us via email from comedy blogger ListOfX. According to NPR, the Mayor of a Belgian tourist town called Knokke wants to sue a private weather service for giving a negative weather forecast. A hotel that has seen its occupancy rate decline 20 to 30 percent is also taking legal action. We would like to take a moment to remind the mayor that you live in Belgium, a place where a top tourist attraction is a small statue of a boy urinating, that locals in Brussels have been known to dress up in different festive costumes. 1. The European Economic crisis. Sure, we know major U.S. corporations are reporting lower sales in Europe, but it probably has nothing to do with spending and borrowing in nations like Greece, Portugal, Italy, Spain, and Ireland, and everything to do with the fact that maybe America hasn’t exported something that would certainly help Europe’s economy: smiley sunshine faces for meteorologists to stand in front of on TV! 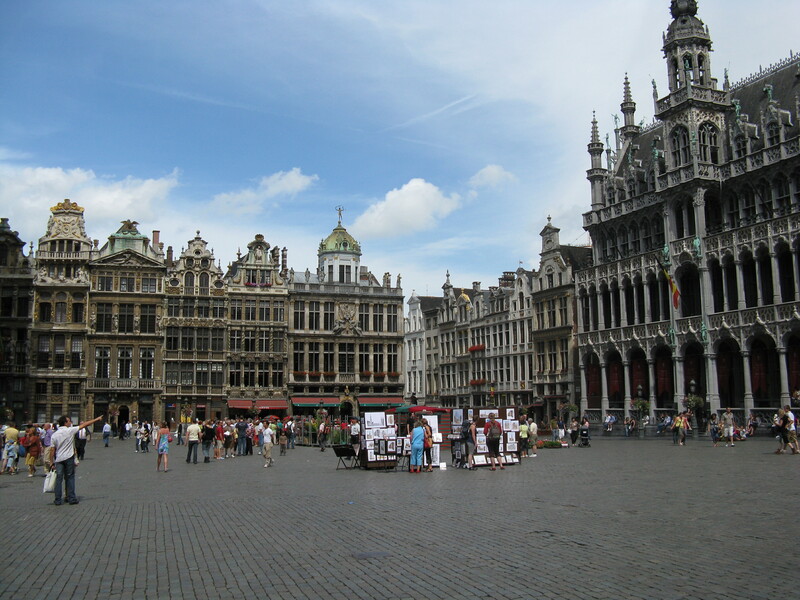 A boring shot in Brussels – where’s the statue of the boy peeing? 2. The temperature inside. That’s a little unreasonable, unless you work in a pawn shop, and have 100 old TVs from the 1960s tuned to the Weather Channel and heating up the room.